What You Should Be Doing Instead: Never click on a link or email attachment, ever! Think of email as a text-only method of communication because nothing else about it is safe. It was never meant for transferring files, and links are probably not what they appear to be. Remember that email is the number one method that the adversary uses to get you to do their bidding. Unless you absolutely know that the email comes from someone you trust, don’t click! And even if it does come from someone you trust, be cautious if the link appears unusual or out of character for them. It could be an adversary pretending to be someone you know. Think about every click as possible doom. What You Should Be Doing Instead: There are many credit cards without annual fees that will be more than happy to extend you credit. I recommend having at least 3 or 4 different cards that you use for different purposes. Ask for a low credit line on each – I’m certainly not recommending that you run up big bills on multiple cards! But having a separate card for different types of transactions reduces your risk and the effort needed if one card gets compromised. For example, have separate cards for online bill paying, online purchases, dining and entertainment, and travel. Never use a debit card except at the ATM – you have far less fraud and theft protection from your bank than you do from the credit card companies. Finally, enable real time text message alerts on your cards so that you know every time your card is used and don’t find out at the end of the month when you see unusual charges. What You Should Be Doing Instead: With the price of computers dropping rapidly, you can’t afford NOT to have a separate “high risk” computer for your online activities such as email, web browsing, and shopping. On your “low risk” computer you can minimize online activity to encrypted transactions such as with your bank or credit card company. 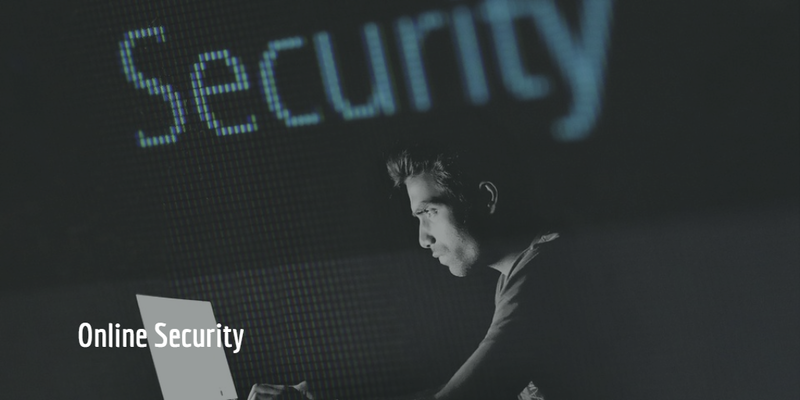 Unfortunately, it’s likely that you’ll get compromised in the near future and it could take a long time, if ever, to recover your personal and financial files. That effort and heartache will cost a lot more than a couple hundred bucks for the second computer. What You Should Be Doing Instead: Every time you log on to an unprotected public network, everyone else on that network can see your computer or device. It’s like running naked through the mall shouting “Look at me!” — you will most certainly get noticed. Cover up! There is a simple type of application called a VPN, which stands for virtual private network. It sounds fancy, but what it really does is create a private tunnel to the Internet that your device can use without being seen. Every time you want to connect to the Internet in public, you fire up your VPN and you become invisible. What You Should Be Doing Instead: I’ve always recommended switching to pass phrases where you create a strong password from a phrase that you’ll remember but that no one can guess. This is great if you only have a few passwords to remember, because you don’t want to use the same pass phrase for multiple sites. But some people have hundreds of passwords for home and work, making it impossible to create unique phrases for each one and remember which is which. In these cases, consider using a password vault that will generate strong passwords for each site you use. You only need to remember the master password/pass phrase to unlock the vault, and then it will fill in your unique passwords as you visit different sites. Remember to lock your vault after each session, or have it time out after a couple of minutes. Bottom line, be smart about how you handle your online activity. Even if you adopt only one or two of these tips, you’ll be taking a big step toward being cyber safe this year and beyond. Dr. Eric Cole is CEO of Secure Anchor, former CTO of McAfee and Lockheed Martin, member of the Commission on Cyber Security for President Obama, the security advisor for Bill Gates and his family, and author of a new book, Online Danger: How to Protect Yourself and Your Loved Ones From the Evil Side of the Internet. For more information, please visit, www.onlinedanger.com and connect with Dr. Cole on Twitter, @drericcole. Dr. Eric Cole Interviewed About Online Danger from Secure Anchor on Vimeo.